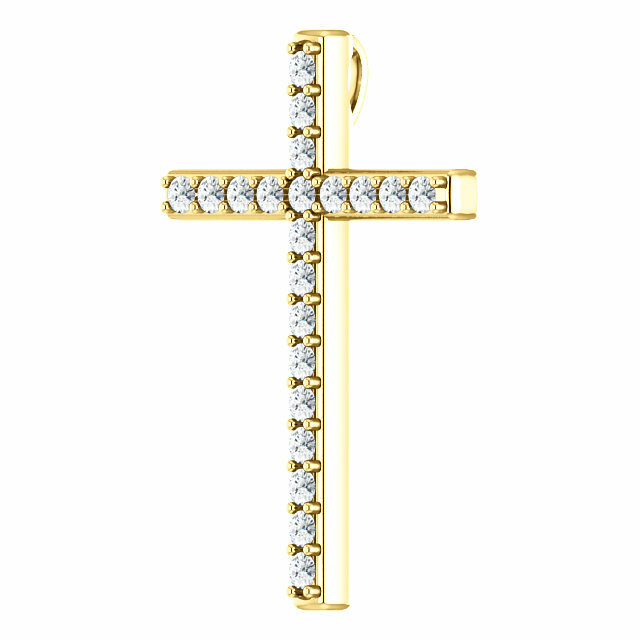 This 0.63 carat diamond cross pendant is crafted in your choice of 10k, 14k, or 18k yellow gold and set with 21 white diamonds. The Bible promises that once we put our faith in Jesus Christ that we will have eternal life and that nothing that we do can separate us from the love of God which is in Christ Jesus. "These things have I written unto you that believe on the name of the Son of God; that ye may know that ye have eternal life, and that ye may believe on the name of the Son of God" (1 John 5:13). This is a promise that we now have eternal life once we believe on the name of Jesus Christ and put our faith in His substitutionary atonement for our sins. 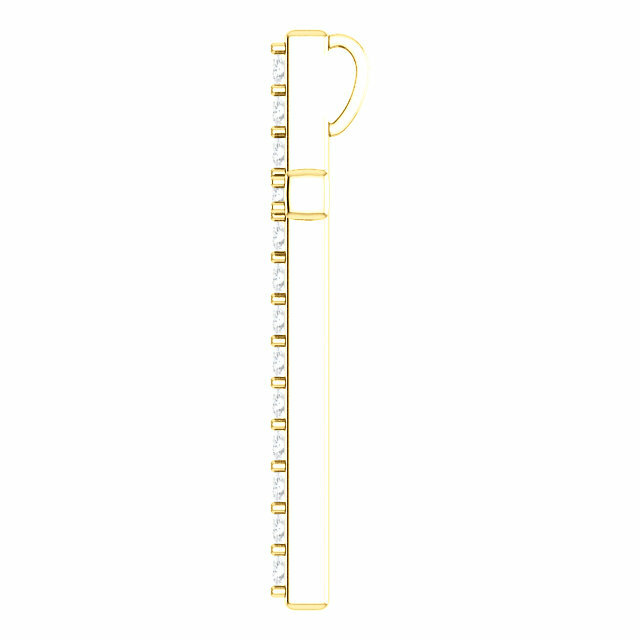 Add a matching yellow gold cable chain necklace to the diamond cross or wear it with one of your own. The bale/hoop is hidden behind the cross and out of sight so that it does not detract from the brilliance of the diamonds and gold. 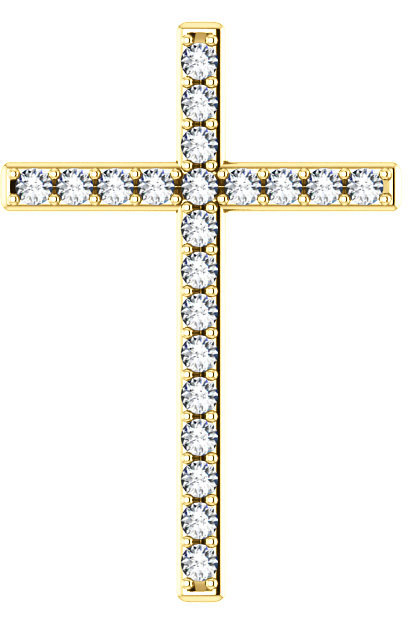 We guarantee our Eternal Life Diamond Cross Pendant in Gold to be high quality, authentic jewelry, as described above.